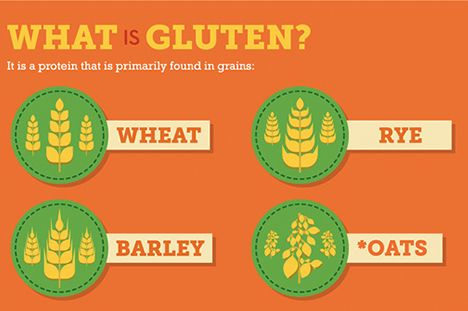 What is gluten? Do we all need to go gluten free?? Can we eat wheat and still be healthy?? Gluten (derived from latin root meaning glue) is a protein composite found in wheat and related grains like barley, kamut, spelt and farro. Gluten gives elasticity to dough, helps it rise, hold shape and also gives the final product a chewy texture. For 10,000 years, we cultivated wheat, stored it, milled it and consumed it. The system worked and it nourished civilizations. Then in the industrial era, we changed things. First we invented mechanical technologies to turn wheat into barren white flour. Then we invented chemical and genetic technologies to make it resistant to pests, drought and dramatically increase yield per acre. And while we were tweaking genetics, we also figured out how to increase glutens for better fluffier results. And then we wonder why it might be making us sick? If all this alarms you, the simple and obvious prescription is “don’t eat wheat”. Hence the gluten-free craze. But, for most of us, there is an alternative solution: Don’t eat industrial flour made with modern wheat. I am a big believer in the Whole Food Philosophy, which simply says: mother nature knows best. Do your family a favor by returning to honest old fashioned flour: organic heritage wheat, freshly ground using a grain mill or professional blender with dry jar. The role of wheat in our health is a complex topic. I think there is no need for everyone to avoid gluten or wheat unless they have been diagnosed with celiac disease or an allergy to wheat, because most of the evidence against wheat or gluten is unsubstantiated by science. It sure looks like the latest health fad gone wild!! The irony is that most gluten-free versions of traditional wheat based foods are actually junk food. Check the ingredients and you will see some combination of rice starch, cornstarch, tapioca starch, potato starch and guar gum as a substitute for white flour. These are the same kind of highly refined industrial starches that spike blood sugar as much or even more than white flour. So don’t fall for gluten-free junk disguised as health food. If you really want to go Gluten-free consider having whole grains like Quinoa, Buckwheat, Millet, Sorghum and Amaranth which do not contain gluten. Unsaturated fats in the wheat germ oxidize and go rancid : B Vitamins are destroyed by light and air : Beneficial enzymes start working and play themselves out: Vitamin A is diminished : Vitamin E which is an antioxidant that helps to protect flour from oxidation, deteriorates once milled. Whole grains are very stable and usually don’t spoil, since they don’t have much moisture content and are protected by their own outer layer. However, once milled, the protective coating is smashed to bits and some of the sensitive insides are exposed to air, it looses the beneficial contents. It’s just not realistic for everyone to have access to a grain mill to grind your own flour. When you purchase flour at a store, try your best to buy from a store with a high turnover rate, so you can at least hope that your bag of flour has not been sitting on the shelf for a very long time. And when you get it, freeze it right away. PS: If you planning on making Chapati/Roti with freshly ground wheat, I have a tip for you. 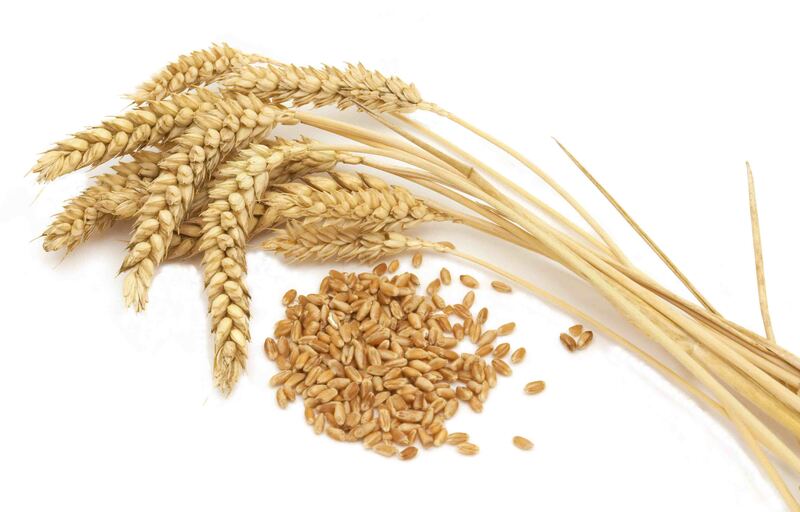 Buy equal quantities of organic hard white wheat berries and soft white wheat berries. And when you knead the dough together bind it with extra water to make it soggy. It will harden quite a bit within 15 minutes when you are ready to make your roti. Good luck! very very informative. keep it up Niti.